Blemishes, fine lines and a tired aged-looking skin take away from your natural appeal. Fortunately, a high frequency facial is an effective modern solution to restore a once youthful appearance. The advanced skincare treatment is incorporated by professional therapists to address acne prone skin while decreasing wrinkles, clogged pores, sagging skin and puffy under-eye pouches. We take a look at ways the high-frequency facial can deliver remarkable results for your skin. Treats and prevents stubborn acne, shrink enlarged pores, reduces the appearance of fine lines and wrinkles, and fade dark eye circles. 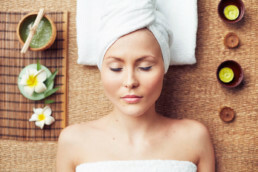 We take a look at ways the high frequency facial can deliver remarkable results for your skin. A high frequency facial consists of a modern machine that works to target problem areas of the skin. The application of a slow oscillating tool delivers a mild electric current to the facial tissues. Research has shown such practice is safe and effective in regenerating the cells in your face. Patients experience higher levels of collagen to restore suppleness, volume, and an overall glow. 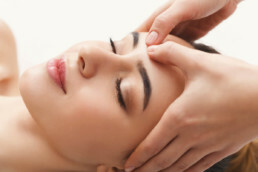 Who Can Benefit from a High Frequency Facial? All men and women seeking a non-invasive yet effective solution for facial skincare can benefit from a high frequency facial. The modern enhancement is delivered with a device that increases high levels of elastin, collagen and removes the surface contaminants responsible for dermal damage. 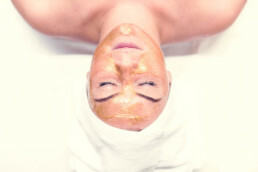 The high frequency facial also acts as a skin toning machine. It targets the lymphatic system for the removal of toxins while eliminating and removing dead skin cells. Patients experience the benefits of rejuvenation and deep skin support through collagen and elastin production, in a single application. Where Can I Recieve a High Frequency Facial? 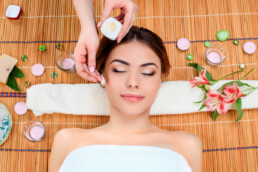 Turn back and stop the clock on the aging process with a high frequency facial offered by the Gallery Massage Studio, 3919 Tennyson Street Denver, Colorado. Our specialist technicians are knowledgeable in high frequency facials and deliver safe practice in a supportive environment. Experience the revolutionary results of youth restoring technology by your trusted skincare therapists. We ensure professional practice with only the healthiest most appealing results.